One young father was among a group of 39 adolescent mothers who received financial awards to assist with their reintegration into the formal education system on Wednesday. 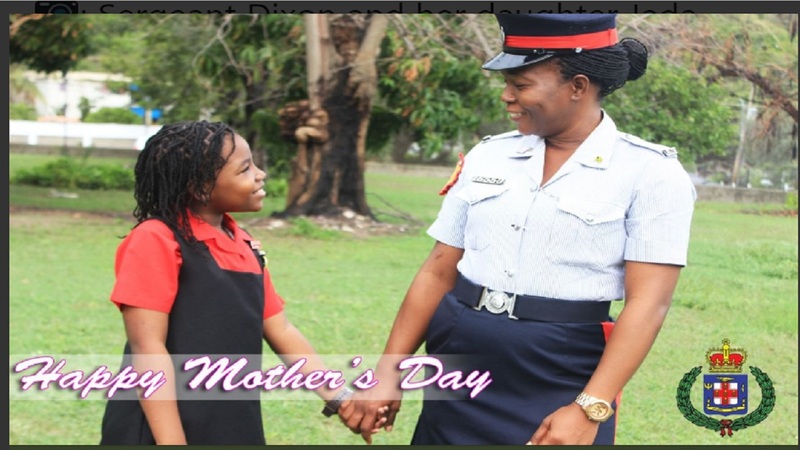 The awards were made available through the Advancing Secondary, Tertiary Remedial Education for Adolescent Mothers (A- STREAM) Programme which is administered by the Women’s Centre of Jamaica Foundation (WCJF). 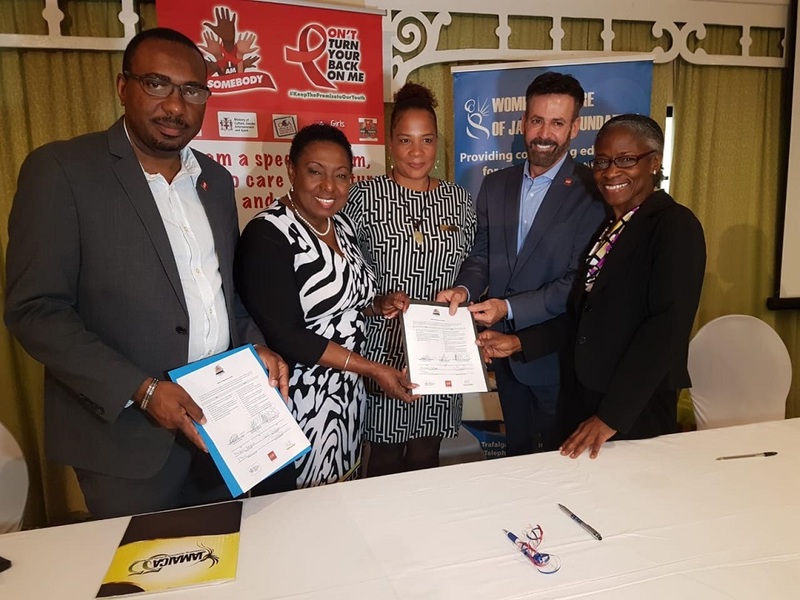 Speaking at the award ceremony held at the Knutsford Court Hotel, Minister of Culture, Gender, Entertainment and Sport, Olivia Grange, applauded the inclusion of adolescent fathers into the A-Stream programme noting that gender equity is the order of the day. “This signals that there is a paradigm shift,”said Grange. “As we speak to women’s empowerment, we are also speaking to the equal involvement of men,” added Grange. The minister noted that even though 70 per cent of adolescent mothers enrolled in WCJF programmes are reintegrated into the formal school system, there are many who are at risk of dropping out a second time. The minister went on to state a few reasons for this reality, which included financial constraints and inadequate psycho-social support. “I know there can be issues with the lunch money… Am I right? Issues with the money for transportation, issues with finding money to buy the diapers and to take care of the baby. So even if you get a chance to go back to school, finance is usually a challenge. And it is against the background of this reality that the A- STREAM programme was launched,” said Grange. 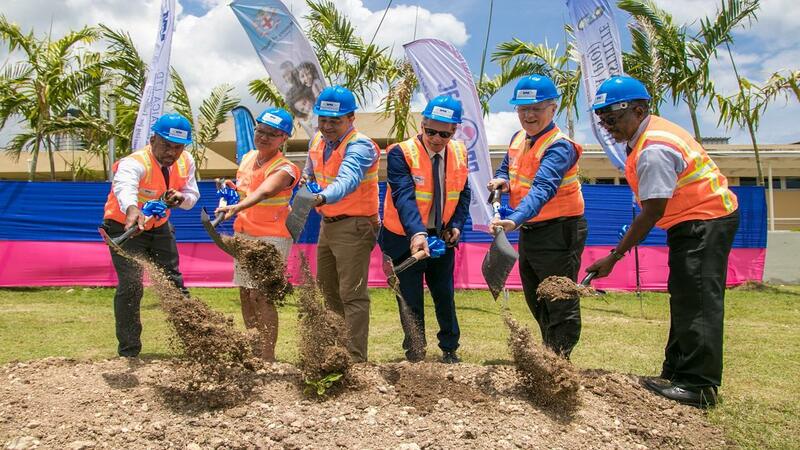 It is these additional challenges that Grange said the A-STREAM programme was designed to mitigate, ensuring that adolescent mothers – and now too fathers - have the proper assistance they need to complete their education. Grange noted that her ministry was committed to not only supporting the teens but investing in their lives and their journeys, as she firmly stated that it takes cash to care. “People tend to just condemn a young girl who gets pregnant but it is not the end of your life, it is the beginning of a great future… And so with all of that, here comes Dr. Harvey, here comes Michael, here come the AHF and the team and they have now committed to providing you with the financial support to top up what I am able to get you. You can’t ask for a better combination,” she said. “We are all committed to investing in your lives and to walk with you the rest of the journey. Now young ladies the ball is entirely in your court. It is entirely up to every single one of you to ensure that you return to school focused on your lessons, focused on your personal development and focused on your career goals,"added the Minister. The Minister also used the occasion to expressed sincere gratitude to the The AIDS Healthcare Foundation (AHF) which is provided 50 per cent of the costs for the bursaries and scholarships provided. The AHF in supporting the the initiative is expected to pump $3.4 million into the programme over a period three-years.